Why do you think that some books in the Bible say that Jesus died at The place of a skull which Is called In the Hebrew Golgotha the sight of the crucifixion. 22 And they bring him unto the place Golgotha, which is, being interpreted, The place of a skull. Now in these scriptures they tell a different story. They say Jesus was killed from hanging on a tree. 30 The God of our fathers raised up Jesus, whom ye slew and hanged on a tree. 39 And we are witnesses of all things which he did both in the land of the Jews, and in Jerusalem; whom they slew and hanged on a tree. 29 And when they had fulfilled all that was written of him, they took him down from the tree, and laid him in a sepulchre. 13 Christ hath redeemed us from the curse of the law, being made a curse for us: for it is written, Cursed is every one that hangeth on a tree. The God of our fathers raised up Jesus, whom ye slew and hanged on a tree. Both record Peter's words. The first, when he testified concerning Jesus before the Jewish leaders, "whom YE slew"; and the second just before the Holy Spirit fell upon all the Gentile believers. On the second occasion, Peter says, "whom THEY slew", but it is a generic "they" because there is nothing in his speech that identifies who the "they" are. However, his audience knew. It is clear from this that Peter wanted to advertise the fact that those responsible for precipitating Jesus' death, had done a despicable thing. Paul joins Peter in alluding to the same despicable method of dying, by pointing out that the manner of Jesus' death made him accursed -- "despised and rejected" as it was given by the prophet (Isaiah 53 :3). Who his own self bare our sins in his own body on the tree, that we, being dead to sins, should live unto righteousness: by whose stripes ye were healed. 29And when they had fulfilled all that was written of him, they took him down from the tree, and laid him in a sepulchre. Like Peter, Paul is drawing attention to the despicable nature of what the perpetrators, "they that dwell at Jerusalem, and their rulers", had done. If this were the only record of Paul concerning how Jesus was killed, then there might be some doubt, but since he uses cross σταυρός on all but one occasion throughout his epistles (10 times), from his testimony the matter is clearly settled -- Jesus was killed on a cross. Jesus was killed on a cross -- a cross is not a tree, but is made from a tree -- and for the purpose of opening the eyes of the perpetrators, to the despicable nature of what they had done to a man "who went about doing good, and healing all that were oppressed of the devil; for God was with him", Peter, and Paul (twice from twelve references) have depicted it as being hung "on a tree", which all who were familiar with the Torah would have understood as an accursed way to be put to death (Deuteronomy 21:23). The Tree stands as a euphemism for the sin that came to the world through the fruit of the Tree of Knowledge, and also for the Cross which, through the death of Jesus, cleanses the world of its sins. The author of Acts employed the euphemism to bring home his readers to the fact God could sublimate a medium of sin and shame to one of holiness and joy ! To answer the question, one idea from Deut. 21:23 is that an already dead man was hung on the tree, but the other idea was "as if" already dead was hung on the tree. First idea is shown. An already dead man was hung on the tree. And afterward Joshua smote them, and slew them, and hanged them on five trees: and they were hanging upon the trees until the evening. And David commanded his young men, and they slew them, and cut off their hands and their feet, and hanged them up over the pool in Hebron. But they took the head of Ishbosheth, and buried it in the sepulchre of Abner in Hebron. Second idea was "as if" already dead was hung on the tree. This is applied to Roman crucifixion, that Christ was as good as dead when hung on the tree and died on the tree/cross. This is also shown from Scripture. Accounting that God was able to raise him [Isaac] up, even from the dead; from whence also he [Abraham] received him in a figure. Abraham reasoned because of God's promise, Isaac would be raised from the dead. So, Isaac was as good as dead even as they traveled to the mount. When they hung Christ on the cross, He was already as good as dead and died on the cross. This same idea is brought out with Vines as to Acts 5:30, Acts 26:21 with the second idea (already dead--as in dead man hung on the cross). Vines- Kill: primarily, "to have in hand, manage" (cheir, "the hand"), is used in the Middle Voice, in the sense of "laying hands on" with a view to "kill," or of actually "killing," Act 5:30, "ye slew;" Act 26:21, "to kill." The last comment states that Peter "says" in the book of Peter. It is known historically that Peter did not write the book of Peter. Claiming such a thing only serves to lend false sense of credibility to the fraudulent explanation given you. There is a thing called Truth and there is what is most popular. This is defending Christian biblical traditions at the expense of the Truth. The word cross is used in many places in the Bible, and the word tree in others. There is no "translation" justification for this discrepancy. Tree = δέντρο Cross = σταυρός These are two distinct Greek words. So the translation mishap excuse fails the smell test. Furthermore, the common Christian image of Jesus on the cross is not historically accurate. The Christian cross would have been too costly to reproduce and too labor intensive to erect for all the numerous crucifixions they were carrying out. It was instead two small tree branches crossed in an X shape with a third support beam branch behind it to hold it upright. This would have been what Jesus was crucified on, not the popularized image which so many still think he was crucified on. He was crucified on the same thing the Romans crucified every one else on, not on the image popularized by the early church. Not the answer you're looking for? 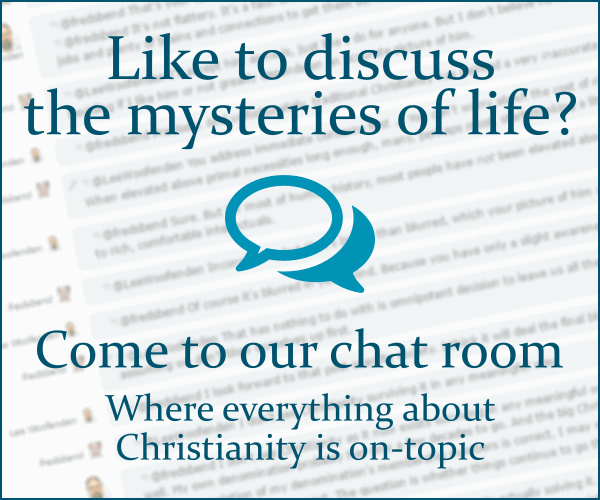 Browse other questions tagged historical-jesus or ask your own question. Was Jesus recorded on the census? Jesus' quotation of Septuagint - Greek or Aramaic? Life of Jesus from the age of 12 to 30? According to the gospel of John, on which day of the week was Jesus crucified? Does the fact that Joseph was a *tekton* require that Jesus was as well? Did Jesus own a home as an adult or was He a nomad? Did Jesus as told in the New Testament really exist? Location of Jesus' tomb identified by Helena, mother of Constantine? What was the most likely method of crucifixion that was used on Jesus?